Having gone to see the 2016 version this last weekend and then watching the 1959 version two days later (to confirm/deny what we thought was different), I have to say that it’s hard not to write an old man’s review. However, since there is no way that wouldn’t be a spoiler at some level I hesitated. At first it didn’t seem too awfully important to me, but then I realized something. That same difference is I think symptomatic of the church as a whole! Having been brought up in a Christian environment, schooled in the Lutheran Catechism (where we learned about a great big God), and having attended many a Sunday morning service where majestic hymns were played and sung, in which sermons were delivered that spoke of man’s great sin and God’s great mercy, and where people wore their ‘Sunday best’ out of respect for whose ‘house’ we were in, it’s easy for me to see the difference. Those whose church experience has been theologically vacuous contemporary choruses, all about ‘me’ purpose driven, seeker friendly, man centered sermons delivered by jeans/rumpled khaki clad preachers with their shirts hanging out have been seriously deprived. The result is a generation or two of ‘children of a lesser God’ and a Jesus who inspires very little reverence or awe and who never comes across as the redeemer who paid the ultimate sacrifice in the ‘great exchange’, taking all of our sin and giving us his righteousness. A Jesus who died just so we could be happy and obtain our best lives now could never inspire reverence and awe. Such is the state of most of the church today. That might mean that most of today’s young evangelicals will give the 2016 ‘Ben-Hur’ rave reviews while some of us older folks will expel a heavy sigh or two. By the way, I also bought the original novel. Folks just don’t write like that anymore! Those are Jesus’ only recorded words in Scripture before the age of thirty. Nothing else. In fact we don’t have anything in Scripture about Jesus between the age of two and the age of thirty. Niente. Zilch. Nada. Other than informing us about an escape to Egypt, The Sovereign God of the universe that gave us Scripture chose before the foundation of the world to only give us one story about Jesus’ life between his birth and the start of his ministry. It is only right for us to ask ourselves why is it so? Why in the world do we have only one story of a young Jesus? Hollywood can make a two-hour long movie about Jesus in this time period, but I can already tell you without having watched it that the movie will disappoint any Bible believing Christian. I believe that there is a reason why God gives us only one recorded statement of Jesus. Having had the recent privilege of preaching through Luke 2:41-52, I had to ask myself why Luke gives us only one sentence from Jesus. I’m sure he knew about stories of Jesus’s childhood. He must have, and yet he did not think Theophilus needed to know about them. I concluded that their absence only make the words he does include that much more powerful. Luke has some serious implications in giving us only one statement from the childhood of Jesus. We must pay attention to what he has to say. In Luke it seems as if everyone is announcing the divinity of Jesus. The angel Gabriel announces that he is God. Zechariah announces the Messiah. Elizabeth, as she is pregnant with John the Baptist, tells Mary that the baby in her womb is God. John the Baptist, as an infant in the womb, can’t help but leap for joy at the sound of Mary’s voice. By Luke chapter 3, Mary and Joseph find out that they will be the parents of the Messiah. A host of angels, on the night of Christ’s birth, announce the birth of the Messiah to a group of shepherds. And the shepherds themselves go and worship their Creator in the manger, and leave from there as the first evangelists declaring that the Savior, Christ the Lord, was born. Simeon and Anna, who have been waiting for the Messiah for years, announce that he is the one who was promised. It seems as if the entire world has declared Jesus as God and there is one human left who must declare the divinity of Christ and that is Christ himself. And Luke lead by the Holy Spirit shows us that the young Messiah knew exactly who he was and that he was unashamed to say that he was the Son of God. Although it would be fun to know stories about Jesus’s childhood, God in his sovereignty didn’t think it was necessary for our sanctification. The only thing we needed to know is whether or not Jesus always believed he was the Son of God or if it was something he made up later on in life. Luke provides us with the answer. 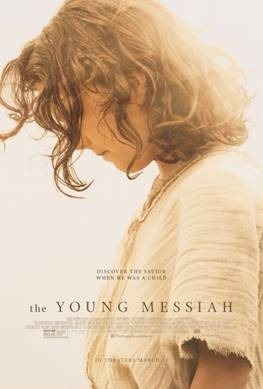 Jesus’s words shock Mary, because she realizes that this young messiah already knows who his true father is. It’s not something he made up at the age of thirty. It is something he always believed and knew. Jesus Christ not only tells us with his own lips that he is the Son of God but he tells us that he had always believed and understood that. I get Christian’s fascination with the young Jesus. I mean we have the God of the Universe, learning how to walk, learning how to talk, getting tired, sleeping, bleeding. His siblings mistreat him, and He holds the power of the universe in His hands. And yet we don’t need to know details about any of those things, the only thing we need to know, in this life, is whether or not he claimed to be God. And the New Testament emphatically shouts yes! The second question is did He always claim to be God? And thanks to Luke and this incredible story of Jesus in the temple we can emphatically shout yes! He was self-aware of His divinity and didn’t need anyone to tell Him. Unlike people who started false religions later on in life, Jesus always claimed to be not of this world. The following article discusses the marketing associated with the movie “War Room”. Since this is nothing new and has been done many times (small industries based on ‘Christian’ books, it’s probably just the latest example of a long string of small ‘industries’ that arisen rom the sale of ‘Christian’ books. I believe the success of such endeavors have a lot do to clever marketing techniques combined with a talent for knowing what ‘itching’ ears want and the associated financial windfall that invariable results from semi biblically literate Christians forking over their hard earned cash for a line of multi level study guides, canned sermon series’, trinkets and other ‘stuff’ generated from the latest Hollywood fare designed for the Christian market. Having said my piece, here is the article. Note that at the front end there is a link to a review by the same author of “War Room”. · This kit includes a leader guide for planning a War Room themed Bible Study. It also includes Sermon outlines so that pastors can preach the theme of War Room from their pulpits. · The War Room Bible Study – $24.99 for the Leader Kit and $7.99 for participant study books. This product line doesn’t sit right with me. Certainly, toy companies aren’t sinning when they make Ninja Turtle and Transformer Action figures to accompany movies about those characters. Neither does Disney sin when it sells princess dolls of all its movie heroines. These companies are just doing what companies exist to do, selling products to make a profit. So, it’s not unusual to see a product line associated with a movie. However, unlike Star Wars action figures, the gospel and biblical principles are not commodities. Yet, there are so many things for sale in association with War Room. Consider a church with 1,000 active adult members. If the church buys a campaign kit, fifty Sunday School leader guides, one thousand study books, and one thousand movie tickets, the total cash outlay for doing so will be somewhere in the neighborhood of $19,274.49 and War Room will be the in thing at the church for five weeks. Could that money be better spent elsewhere, missions perhaps, perhaps hiring a youth minister who knows how to do more than play electric guitar and throw pizza parties? Of course, most churches aren’t one thousand members strong but many are. Some are even bigger. There are thousands of churches, from as small as 50 to as large 10,000 who are currently in the market for War Room tickets and materials. These materials have been pushed on them hard by their local missions directors and LifeWay representatives. The potential companion product revenue that surrounds this movie is staggering. Companion product revenue is needed because the evangelical movie market is a small one when compared to the general population. This is not a movie lost people, by and large, are going to go out and see. They will spend their money on rated R fare while the clear gospel presentation in War Room is preached to the choir. So, to convince secular movie distributors such as Tri-Star to invest in their movies, Christian Filmmakers must promise to deliver ticket sales and related revenue. Blocks of church-bought tickets will do just that, especially on their movie’s opening weekend. Alex Kendrick seems to have become the Tyler Perry of the Christian movie industry. He writes movies, stars in them, and markets them to his niche audience. Again, there’s nothing sinful about doing this but I remember his first few movies and he didn’t seem like media mogul back then. Flywheel and Facing the Giants were made as ministry of his church and even starred church members, not professional actors. Now, he’s resigned from his church to run his own production company. Personally, I can’t imagine a 1st Century pastor leaving his church to produce and market Christian drama. Neither can I imagine a 1st century Christian being a gospel consumer. I certainly can’t imagine a 1st century Christian associating with the likes of TD Jakes and other Word of Faith Ministers but that’s exactly who Kendrick has been keeping company with since hitting the big time. The gospel is a big time message but it’s not a big time product. Be discerning about War Room. Don’t be afraid to question the leadership of your church if they expect you to study it. As I mentioned in my review, there are serious and well-document problems with the people associated with this film: most notably Priscilla Shirer and Beth Moore (who is actually barely in the movie at all). Both have advocated the dangerous practice of contemplative prayer. Now, they are starring in a movie about prayer which is selling books about prayer. Does the guy at your church buying blocks of movie tickets know this? Be careful Christians. Consumers usually get what they pay for. Maybe this weekend you should find a copy of Flywheel and sit down with your family at home and watch it. It’s about a man who puts God before money. When it’s over, read the Bible and pray together. That will cost a lot less than $19,274.49. *Please note that the preceding is my (Seth Dunn’s) personal opinion. It is not necessarily the opinion of any entity by which I am employed, any church at which I am a member, any church which I attend, or the educational institution at which I am enrolled. Any copyrighted material displayed or referenced is done under the doctrine of fair use. If you do not know the Kendrick brothers by name, you almost certainly know them by their films: Flywheel (2003), Facing the Giants (2006), Fireproof (2008), and Courageous (2011). Stephen, Alex, and Shannon Kendrick have just released their fifth faith-based film, War Room. War Room, starring popular Bible teachers Priscilla Shirer and Beth Moore, looks like it may well be the most successful of their films to date bringing in $11 million just on its opening weekend; more than triple it’s $3 million production budget. Given the popularity of Christian themed films and the considerable buzz about this one in particular, my wife, Kathy, and I went to see War Room on the evening of September 3rd so that I could write a review. For those of you who read my review of Mark Burnett and Roma Downey’s movie, Son of God, you know that I am a bit skeptical of the Christian movie genre as a whole. Nonetheless, I do want to offer what I hope to be a fair review. This review will not touch on every single facet of the movie or even on every theme it presents, but I do hope to address what I believe to be the most important of them. War Room is centered around Tony and Elizabeth Jordan, their ten year old daughter, Danielle, and Elizabeth’s real estate client-turned Christian friend, Mrs. Clara. The Jordan marriage is in serious trouble. Tony, a pharmaceutical salesman who travels extensively in his work, is the kind of husband and father one loves to hate. Though a hard worker, he shows little interest in his daughter and pursues a female work interest behind his wife’s back. Elizabeth, played by Priscilla Shirer, goes to Mrs. Clara’s home discuss the particulars of putting it on the market. The meeting, however, went far beyond deciding on a listing price for the house. Mrs. Clara, an older widow, is a Christian fiercely devoted to prayer which she does in a closet she has dubbed her “War Room.” Mrs. Clara goes to war here, battling Satan who is portrayed as the source of every form of evil plaguing mankind. Rather than plotting troop positions on a military map, Mrs. Clara pins prayer requests and Scripture verses on the wall of her war room, prays to God, and rebukes the Enemy. Mrs. Clara begins to ask Elizabeth some probing questions about her family, marriage, and church attendance. Upon learning that the Jordan family is at the point of collapse, Mrs. Clara exhorts Elizabeth to fight for her marriage in her own war room. Slowly but surely, Elizabeth is changed by her newly found prayer life and by reading the Bible. One day in her war room, she discovers via a friend’s text that Tony has been seen in a restaurant with another woman. Elizabeth immediately prays for her husband and asks God to stop him. God gives Tony a stomach ache in the restaurant preventing him from following through with his adulterous plans. Shortly after this, Tony is fired from his job. Rather than the anger and sarcasm he expected to receive from Elizabeth upon hearing this news, she offered him love and support. The change he sees in his wife eventually changes Tony as well. He confesses his sin and turns back to God. He seeks and is granted forgiveness from both Elizabeth and Danielle, and the Jordan family is on the fast track of restoration. Despite his new life, Tony is fired from his job. What his boss did not know, though, was that Tony had been stealing drugs from the company, selling them and pocketing the profits. Though he had gotten away with it, his now sensitive conscience drove him to return to meet with his former boss, confess his theft and make restitution. His boss could easily have turned Tony in to the authorities to face prison but chose not to do so. The Jordan family was spared the loss of being torn apart again just as it had begun to heal. Tony eventually found a new, though less lucrative job, his family grew closer to one another and the Lord, Mrs. Clara’s house sold to a pastor and his wife, and all was well because of the battles fought in the War Room. The movie was, of course, clean. There was neither foul language nor any innuendos (other than what was about to happen between Tony and his almost-mistress at the restaurant) anywhere to be found. War Room emphasized the importance of fidelity to one’s spouse and cutting off any potential threats to the sanctity of the marital covenant. The film championed the virtues of character, integrity, and selflessness. The importance of family, and the need for regular church attendance were stressed. Mrs. Clara (a very winsome character in the film) taught Elizabeth the importance of reading Scripture and, of course, prayer. The movie did teach the biblical truth that man is unable to reform himself. “You can’t fix Tony. Only God can.” said Mrs. Clara to Elizabeth. The Gospel was, well, mostly there. Mrs. Clara presented the Gospel to Elizabeth in one of their meetings and she talked about sin, that Jesus died on the cross to pay the penalty of sin, was raised from the dead and that a person must believe in Jesus and repent. These are all essential elements of the Gospel and I am glad that they were included. That having been said, even though the proper biblical terms were used, often these terms were not explained. The term “repent,” for example, was used but never fleshed out. The lingo was there to be sure, but without a biblical understanding of these terms they are just that, lingo. As I’m sure you are expecting, I did find much with which to be concerned. Some of the film’s failures could have been avoided with more careful attention to doctrine and theology and some of the failures, as I will explain in the conclusion, are inherent to the genre itself and unavoidable. I will outline my concerns in a series of “Outs:” Out of Home, Out of Order, Out of Focus, Out of Bounds and Out of Context. I may as well begin with the most politically incorrect and probably the most controversial point I will make in this review and get it out of the way. Not everyone reading this will agree but truth is truth. That men and women are of equal value before God is beyond dispute (Gal. 3: 28-29). That having been said, men and women do have different roles and the role of a young wife and mother is to be a worker in the home. The Apostle Paul writes that older women are to teach “the young women…to love their husbands, love their children, to be sensible, pure, workers at home, kind, being subject to their own husbands, so that the word of God will not be blasphemed” (Titus 2:4-5). Note the “workers at home” part. The context makes it quite clear that the “young women” are those who are married and have children in the home. This text makes it quite clear that such women’s primary place of service is not to be outside of the home but within. Pastor and teacher Dr. John MacArthur has written that if a young woman is adequately fulfilling all seven of the requirements listed in this passage then she “will probably be a very busy individual” and have little time for work outside of the home. If, however, “she still has time left over, then she would be free to pursue enterprising and creative activities outside the home.” It is not that a young woman should never engage in wage earning work of any kind. Proverbs 31, in fact, depicts the godly woman who may do some enterprising work from within the home. One of the first things I noticed in the film is that Elizabeth worked outside of the home as a real estate agent. Had she been adequately fulfilling all of her duties inside the home, then the case could have been made that this was permissible. This was not the case, however. In fact, the movie actually makes a point that Elizabeth was so involved at her job that she did not know what her daughter, Danielle, was doing at school or in her jump-rope team. The sad reality is that the fallen world in which we live often requires young women to work outside of the home. Some “young women” have been abandoned by their husbands and some may have husbands unable to work due to some type of infirmity. In situations such as these work outside of the home is, unfortunately, unavoidable. When a young woman can avoid working outside of the home, though, she should. If a young woman works outside of the home out of preference rather than absolute necessity, then a biblical principle has been violated. The issue is not a minor one. Note that if a young woman works outside of the home at the expense of her biblical household duties, then the result is that the Word of God is βλασφημῆται (blasphemetai), literally, blasphemed. War Room is a theological train wreck chronologically speaking. In other words, it totally gets out of order the Holy Spirit’s work of regeneration in a person with the fruits of regeneration. In their first meeting, Elizabeth tells Mrs. Clara of the distressed state of her marriage to Tony. Upon hearing this, Mrs. Clara asked her, “Have you prayed for him?” There is nothing, of course, wrong with this in and of itself except the fact that Mrs. Clara made this inquiry without having first made certain that Elizabeth understood the Gospel herself. Though Elizabeth certainly was not guilty of the overtly egregious sins of her husband, like he, she displayed little understanding of the Gospel. She attended church only “occasionally” and was biblically illiterate. There was no discernible spiritual fruit in her life to indicate that she was a believer. Another example occurs after Elizabeth hears the Gospel (most of it anyway) from Mrs. Clara and begins to get on the straight and narrow. Shortly after Elizabeth found out about Tony’s attempt to cheat on her, he came home from his failed dalliance to a meal she had prepared for him. She looked at her husband and asked, “You wanna pray?” At this point in the movie there is absolutely no reason to believe that Tony had been converted. He had little interest in Danielle and he did not love his wife. He was selfish, arrogant, was a thief, and had no conviction over his sin. He cared only for himself, had no godly sorrow, and showed no affections for things holy and pure. He was ignorant of Scripture and comfortably so. That Elizabeth, by this time walking with the Lord, would ask her husband to pray assumes that this is something he could do which, as a lost man, he could not. Save the prayer that one may prayer at conversion, prayer is a spiritual discipline that can only be done by the saved. The movie gives the impression that praying for one’s spouse or asking God to bless the evening meal can be done by one who is lost. This, of course, is an impossibility. Before coming to Christ we are enemies of God (Col. 1:21), dead in our sins (Eph. 2:8-9), and cannot seek Him (Rom. 3:10-11); a condition which precludes any ability to pray (Is. 59:2). Now, this having been said, I am not saying that this was the intention of the Kendrick brothers. It is probably the case that they were simply portraying how people normally speak. I am not at all saying that theologically they would believe that lost people can pray. The problem, though, is the vagueness in which it was portrayed. My issue here is not that Elizabeth is praying for her husband, but that her prayer gives the viewer the impression that Tony was a just backslidden Christian. “Turn his heart back to You,” she prayed. Again, Tony was an absolutely loathsome individual at this point in the movie who displayed zero evidence he had ever experienced regeneration. Christians can and do sin (1 Jn. 1:8) but their lives are not to be characterized by sin. It has been said that a Christian can stumble into sin, but he cannot swim in it. A believer is a new creature in Christ (2 Cor. 5:17) indwelt by the Holy Spirit of God Who produces in him good fruit (Gal. 5:22-23). Many people living lives of habitual sin are told they are just “backslidden” when they’ve never slid forward in the first place. Charles Spurgeon stated, “Unless our faith makes us pine after holiness and pant after conformity to God, it is no better than the faith of the devils, and perhaps it is not even so good as that.” Whether intentional or not, there is a danger of this film giving some of its viewers a false assurance of their salvation. War Room certainly did deal with sin but it did so, I thought, primarily on a horizontal basis. In other words, though it showed the damaging consequences of sin in relation to our fellow human beings, it did not focus nearly so much on sin’s deadly consequences in our relationship to God. Tony and Elizabeth both sinned in that they focused on their employment at the expense of their daughter, Danielle. Tony, of course, sinned in his pursuit of a woman who was not his wife. Eventually both came to see how their sin hurt others and they repented. In and of itself, this is good. What I did not see – or at least what I believed was not emphasized nearly enough – was the vertical nature of sin. There was no mention anywhere in the film of the wrath of God that our sin incurs. There was no mention of God’s wrath abiding on the unbeliever (Jn. 3:36) or that we are saved from it (Rom. 5:9). There was no mention of eternal judgment for those who die in their sins (Lk. 16:19-31). Without first understanding the wrath of God, one cannot rightly understand the mercy of God. Without first realizing that our sins are storing up God’s wrath (Rom. 2:5) which will be poured out on the ungodly for all of eternity (Rev. 14:10), we cannot truly appreciate His mercy. It is only in understanding God’s deserved wrath that we can fully understand His undeserved mercy. It is His wrath that makes His mercy so precious. In watching the film both my wife and I were looking for one thing which is a hallmark of every genuine believer: a godly sorrow over sin. The Bible speaks of two types of sorrow over sin. There is a worldly sorrow which is merely a guilty conscience. A worldly sorrow is one that is concerned only for the horizontal consequences of sin and it leads to death (2 Cor. 7:10). The other type of sorrow, however, is a godly sorrow. A godly sorrow comes about when we understand that our sin is first and foremost against God. A godly sorrow is when we grieve over our sin because we understand that our sin grieves God and we desire to turn from sin because we do not want to grieve Him. It is this godly sorrow which “produces a repentance without regret leading to salvation” (2 Cor. 7:10). Unless we both missed it, neither Kathy nor I saw any godly sorrow evidenced in either Tony or Elizabeth’s life. There definitely was sorrow over hurting others, but nowhere in the film did we see the kind of godly sorrow exhibited by David when he humbled himself before the Lord and said to Him, “Against You and You alone have I sinned and done what is evil in Your sight” (Ps. 51:4). The Apostle Paul in 1 Corinthians 4:6 exhorts the immature believers in Corinth “not to exceed what is written.” In other words, we as believers are not to exceed biblical parameters. Whether in our theology or in our practice we are to stay safely within biblical parameters for when we exceed these God-given parameters we are opening ourselves up to demonic influence and demonic deception. Sadly, biblical parameters dealing with spiritual warfare are exceeded throughout the movie. The entire film is saturated with Word-Faith/N.A.R. spiritual warfare lingo. There seemed to be as much time and effort expended in binding, rebuking and casting out Satan by Mrs. Clara and Elizabeth in their respective war rooms as there was praying to God. In one of the more emotionally rousing scenes of the film, upon discovering her husband’s philandering ways, Elizabeth retreats to her war room. As she repeatedly cites to herself James 4:7b, “Resist the devil and he will flee from you,” indignation swells within her and she begins to talk to the devil. “No more, you are done! Jesus is Lord of this house and there is no room for you anymore! Go back to Hell where you belong and leave my family alone!” she shouts. There are at least two significant problems with this. First, Satan is not in Hell. Only when the eschatological events of Revelation 20 take place will he be thrown into the lake of fire and “tormented day and night forever and ever” (vs. 10). The Bible makes it very clear that, for now at least, Satan is quite free “prowling about like a roaring lion seeking someone to devour” (1 Pet. 5:8). Secondly, and more significantly, we as believers are not to be addressing Satan. Ever! It is troubling that noted Bible teacher Priscilla Shirer does not know this and would model such a dangerous and unbiblical practice. By exceeding biblical parameters, people are exposing themselves to the very enemy that they fancy themselves as rebuking. The movie also has a decidedly mystical bent. Towards the end of the film, an older pastor named Charles and his wife, clients of Elizabeth, are shown the home. Charles notices the closed door to the “war room,” opens it and slowly walks inside. He looks around, pauses, backs out of the closet, and then walks back in as though he feels something different in the atmosphere. His wife asks him what he is doing and he says that there has been a lot of praying in this room. “It’s almost like it’s baked in,” said the old pastor. This is pure mysticism. God speaks to us through the Bible and we speak to Him through prayer. Prayer is an act of obedience that serves to conform our will to that of the Father but it in no way changes the atmosphere in a closet, house, hospital, gymnasium, state or country. This is hyper-charismatic, Word-Faith mysticism. In another scene Mrs. Clara, Elizabeth and Danielle were on their way to get ice cream when their trip was interrupted by a knife wielding thug demanding their money. The unflappable Mrs. Clara stared him in the eye and commanded, “You put that knife right down in the name of Jesus.” All of the sudden the thug looked dazed and confused. Powerless to follow through with his criminal plans, he fled the scene. Saying “in the name of Jesus” to this miscreant was like giving Kryptonite to Superman. Throughout the film the name of Jesus is used in this way. It is used almost like a magical incantation, a Christianized version of Abracadabra, to manipulate the physical realm toward one’s desired outcome. Whether used in prayer to restore a marriage or to thwart a mugging, the name of Jesus always got results in War Room. Contrary to the way in which it is portrayed in the film, saying “in the name of Jesus” is not like putting in coins in some theological vending machine. The name of Jesus is synonymous with the will of Jesus. When we pray for things in Jesus’ name rightly, we are praying for Jesus’ will to be done (Jn. 14:13-14; 1 John 5:14-15). Using the name of Jesus does not always bring the results we desire. It was fidelity to the name of Jesus that led nearly all of the Apostles to gruesome deaths. It is fidelity to the name of Jesus that has brought horrific persecution to untold millions of Christians during the last two thousand years. Many Christians throughout the world face persecution to this day because of the name of Jesus. Sometimes the name of Jesus gets us not what we want, but what we may not want. Often it is in times of trial and persecution for the believer that God is most glorified. “The thief comes to steal, kill and to destroy; I have come that they might have life and have it abundantly” (Jn. 10:10) was quoted several times throughout the movie. In War Room the “thief” is identified as Satan who has come to steal people’s joy and marriages. While it is not necessarily incorrect to identify the thief in John 10:10 as Satan, the context of the passage argues for a much broader view. The context indicates that the thief includes not only Satan, but any false teacher who claims any way of salvation other than that which is found exclusively in Christ. What the “thief” is attempting to steal is not one’s joy or marriage but rather one’s reception of the Gospel itself. The context is that of salvation, not one of life enhancement. The movie concluded with one of the most familiar, beloved, and yet taken out of context passages in the Old Testament, 2 Chronicles 7:14: “If My people who are called by My name will humble themselves, and pray and seek My face, and turn from their wicked ways, then I will hear from Heaven, and will forgive their sin and heal their land.” The text was shown superimposed on a shot of the United States capitol the insinuation, of course, being that if we will repent that God will heal our nation’s many societal ills. Though a thorough treatment of this passage is beyond the scope of this article, to apply this verse to the United States of America (or any other country for that matter) is to employ poor hermeneutics. The context of this verse is that it is God’s answer to Solomon’s prayer dedicating the temple recorded in the previous chapter. There has only been, is now, and only will be one country in a covenant relationship with God – Israel. When you pray, you are not to be like the hypocrites; for they love to stand and pray in the synagogues and on the street corners so that they may be seen by men. Truly I say to you, they have their reward in full. But you, when you pray, go into your inner room, close your door and pray to your Father Who is in secret, and your Father who sees what is done in secret will reward you. – Matthew 6:5-6. As we were driving home from the theater that night, Kathy and I talked about how we would be willing to bet that thousands of people will see this film and then go to their homes, clean out a closet and make their own “war rooms” believing that their prayers will become more effective. Sure enough, just this morning as I was writing this piece, I was watching the Daystar channel as presidents and hosts Marcus and Joni Lamb played a clip from Eyewitness New Fox 58 as Aaran Perlman interviewed two of the Kendrick brothers. A visibly emotional Perlman said, “I saw this movie last weekend with a group of people, I’m gonna start crying before I even get into this. It changed my life so much. This movie, it’s about prayer. It’s about finding a room called the war room and immediately after this movie I went home and ripped everything out of my closet and made my own war room.” “Wow, that’s incredible, awesome! You will see a difference in the days ahead. Write ‘em down so you can keep up with them. It’s great to be able to check off those prayer requests to realize God is alive and well and at work in your life,” Stephen Kendrick responded. While there is certainly nothing wrong with praying in a closet if that is what one wants to do, the location is not the point. The point Jesus made in this text was not about location but attitude. The point is that we are not to make a show of our prayers as did the scribes and Pharisees and should remove any distractions which may divert our attention away from the One to Whom we are praying. Sincere, humble prayers offered in a living room, a backyard, or in an airplane at 40,000 feet halfway across the Pacific Ocean are heard just as well as those offered in an empty closet. Believing that there is some special power in the location itself is not only mystical, but borders on idolatry. The Object of our prayers and the condition of our hearts are the important things – not the location. Finally, as I hinted at the beginning of this piece, I am not a fan of the whole Christian movie (I am not including documentaries in this) thing in general. It is not that I am inherently opposed to the genre per se, but rather that I believe there to be an inherent danger in them. For one, in order to be successful at the box office, Christian movies must be intentionally vague when it comes to many doctrinal matters. Christian films never really go past the basics of the Gospel and, sadly, often even fail at that. Yet the Bible says that we are to pay close attention to doctrine (1 Tim. 4:13) and to persevere in it (vs. 16). Additionally, these movies are highly emotional. They tug at our heart strings. There is nothing wrong in and of itself with emotion, but emotion cannot be a substitute for obedience to objective biblical truth. Movies in and of themselves cannot bring lasting change to anyone’s life. It seems that every few years or so something new is introduced to the evangelical masses and is portrayed as the next great evangelistic super-tool. Whether it’s a blockbuster movie like the Passion of the Christ, or best-selling books like The Purpose-Driven Life, or Jesus Calling, people get all excited. Spin-off products follow and incredible amounts of money are spent chasing after the latest fads. But they are just that – fads. Recall the Prayer of Jabez craze about fifteen years ago? Remember how everyone was praying for God to enlarge their territory? Do you have any friends still praying the prayer of Jabez? Me neither. Without a foundation of sound doctrine, without a constant and proper hermeneutic, all of these things are the spiritual equivalent of a sugar pill. It is a sad commentary, in my estimation, that so many professing believers get so excited about the latest thing to come down the evangelical pike, but show little enthusiasm in and put precious little effort into reading, studying and obeying God’s Word. Watching a movie is easy. Laboring in the Word is not. But only the latter will bear fruit that remains. For the purposes of this article when I write “young women” I am referring to the biblical definition of the term per Titus 2. No matter how he may argue to the contrary, if a man cheats on his wife (or vice versa) he does not love her. Such a sin breaks the marriage covenant and is in direct contradiction to the biblical definition of love. The New Testament never uses this word. It is only used in the Old Testament in reference to Israel. New Apostolic Reformation is a twin movement of Word-Faith but has even more emphasis on signs and wonders and modern day Apostles. Some of its prominent leaders include Bill Johnson, John Arnott, C. Peter Wagner, Cindy Jacobs and Heidi Baker. Technically, there will never even be a time when Satan resides in Hell. Revelation 20:14 states that Hell and death are thrown into the lake of fire where Satan and the demons will already be by that time. It is a distinction with probably little meaningful difference, but a distinction nonetheless. Osman, Jim (2015-01-24). Truth Or Territory: A Biblical Approach to Spiritual Warfare (Kindle Locations 1905-1908). Jim Osman, Kootenai Community Church. Kindle Edition. All of these mentioned have massive doctrinal errors.